It is believed that pretzels are the world’s oldest snack food. History says its origin dates back to 610 AD when an Italian Monk used dough left over from baking bread to make pretzels. He folded the dough over to make it look like children’s arms folded to pray. He rewarded children with pretzels for remembering their prayers. Step 8: Let cool and enjoy! To make cinnamon sugar pretzels add 1/2 cup sugar and 2 tablespoons of cinnamon to a bowl. Melt 1/2 stick of butter in another. After pretzel’s cool dip pretzel’s (kids love this part) in the butter then the cinnamon sugar mixture shake off excess and enjoy. These make great gifts. 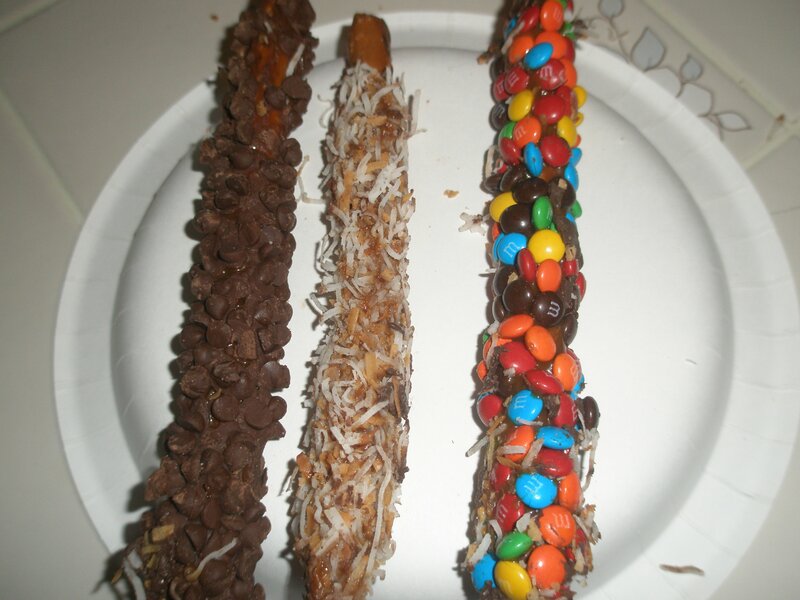 Make different flavored pretzels, when dry place in long candy bag (available at Michael’s craft store or chocolate store) and tie with ribbon.